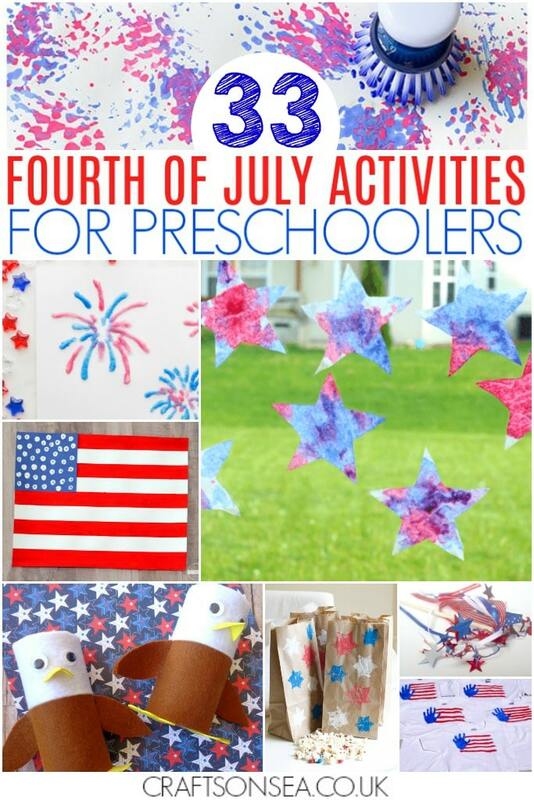 4th July will soon be here and what better way for younger kids to get involved and enjoy the celebrations with these fantastic 4th July Activities for Preschoolers! 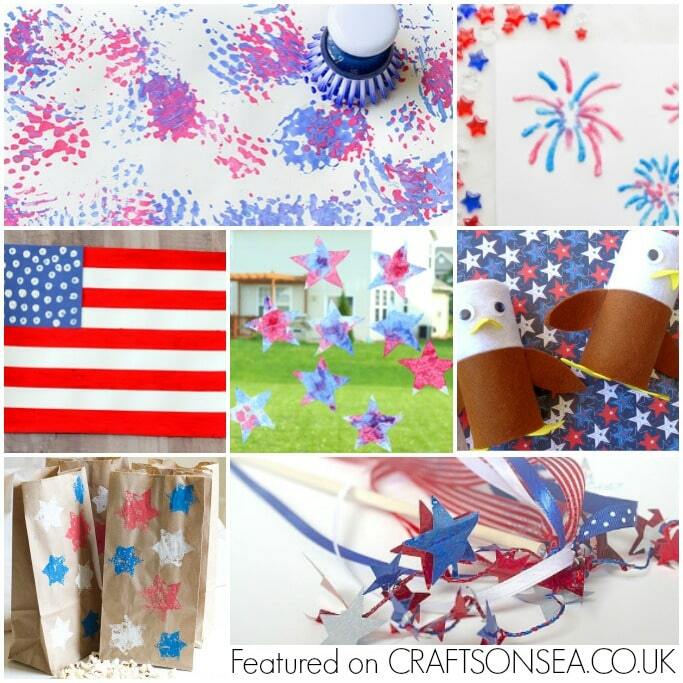 There’s over 30 cool crafts and activities here with loads of inspiration to make this your best 4th July yet! 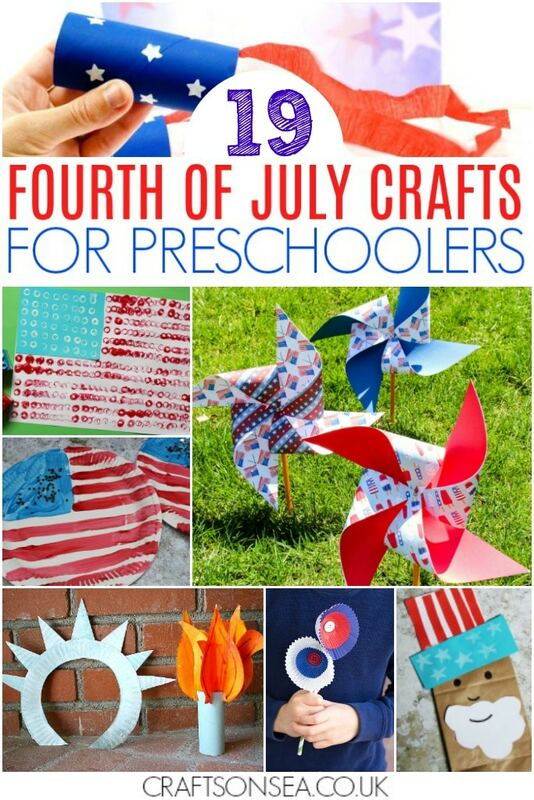 As I’m sharing so many great activities today I’ve split the list into two categories to make it a bit easier to navigate – 4th July Crafts for Preschoolers and Easy 4th July Activities for Preschoolers. 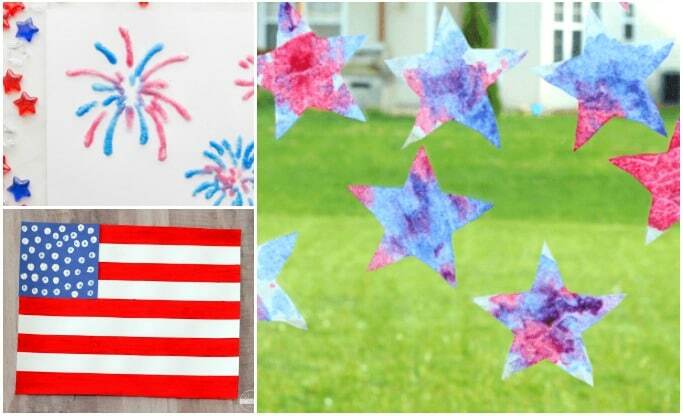 You’ll find them both jam packed with awesome ideas including science experiments, sensory play, circle time activities and crafts like this simple American flag craft below. To make this as easy for you as possible (and if you have preschoolers easy always equals good right?!) you’ll find that in both sections the activities are listed in the same order that you’ll find them in the collage image just above that list. Of course there are more ideas than you’ll see in each collage so make sure you take a look through the whole list to find some new favourites! Want to make sure that you have all these ideas to hand when you need them? Make sure that you bookmark this page or pin an image so that you’ll have all the inspiration you need right when you need it! 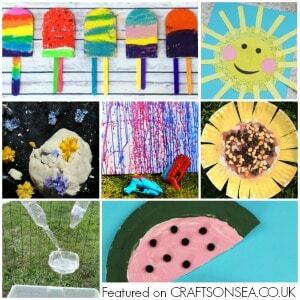 Want more inspiration for preschooler activities? Check out the links at the end of this post for more great ideas your kids will love. 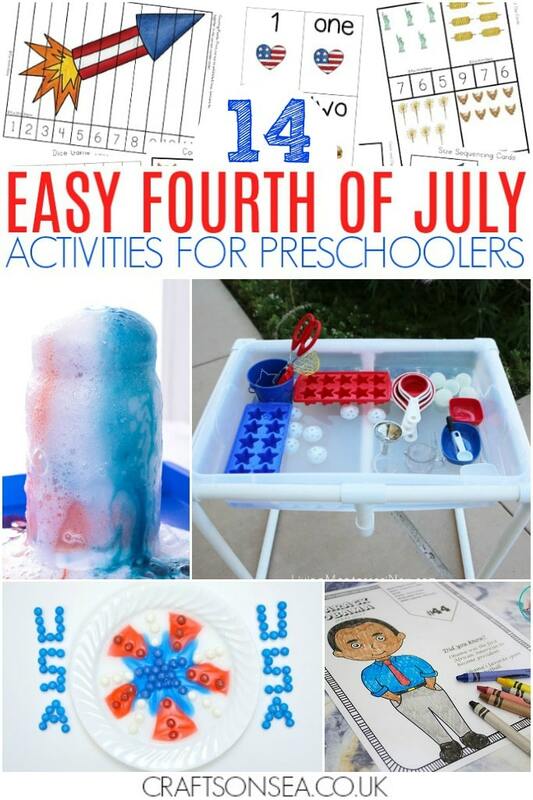 We love these Summer activities for preschoolers and with over 40 ideas you can bet you’ll find some ideas your kids will love too! Loving the pretty crafts and activities? 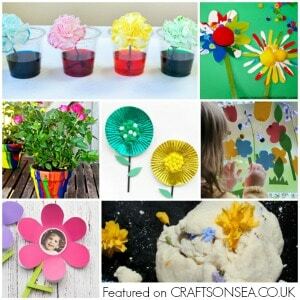 How about this round up of flower activities that’s perfect for younger kids. 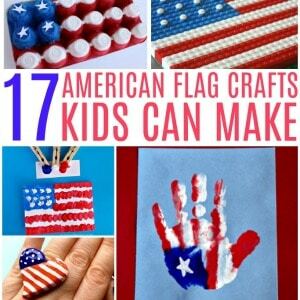 Or for more activities perfect for 4th of July this round up of American flag crafts is great fun.